We have a pretty good idea about what the iPhone 5C, Apple's cheaper handset expected to launch alongside the company's iPhone 5S, will look like. But it's still largely unclear what kind of specs we'll see included on the inside. 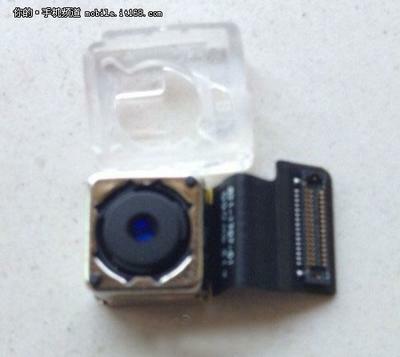 According to an image of a leaked camera module, however, Apple could potentially include an 8-megapixel sensor inside that plastic body, further highlighting its similarities to the maybe outgoing iPhone 5. Acquired by Chinese site IT168, the module doesn't reveal all that much about the device per se, and we only have the author's word to go by. But we've heard enough about the iPhone 5C that the inclusion of an 8-megapixel camera wouldn't be that far fetched. The iPhone 5 takes excellent pictures as it is, so it makes sense Apple would want to stick with a good thing. One has to wonder, though, whether a "high-end" spec like an 8-megapixel camera hints at a price higher than some people were expecting. The iPhone 5C is supposedly already being produced for a targeted Sept. launch, so really we're not all that far away from seeing how the full picture will turn out. We've seen numerous leaks of this device well before launch, and I'm sure we'll see many more before an official unveiling next month. Stay tuned.